Georgia senator weighs in on 'Sunday Morning Futures' on the next steps for tax reform. 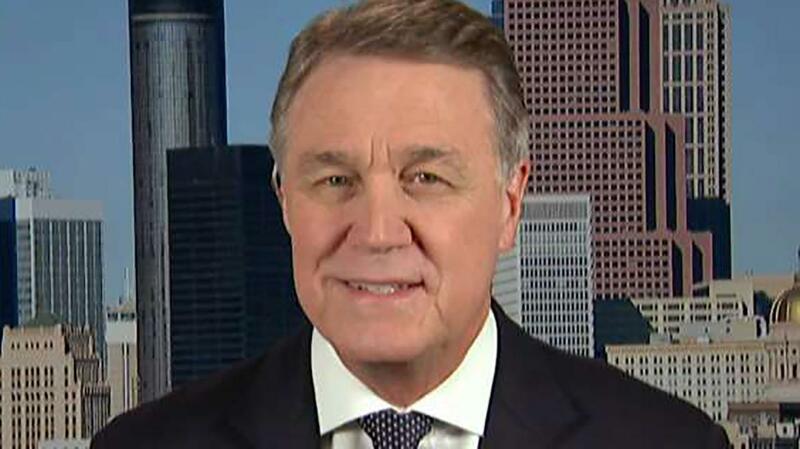 Sen. David Perdue on Sunday praised the Senate tax bill, and said the recently-passed legislation could be just more than a week away from moving to the Oval Office. The Senate passed the sweeping tax reform legislation in a 51-49 vote—Sen. Bob Corker, R-Tenn., being the only Republican to vote no—in the early morning hours on Saturday. Since lawmakers in the House voted last month to approve their own version of a tax plan, both chambers of Congress will next have a conference committee meet to iron out any differences between the bills. Perdue said the Senate’s plan will benefit more than just corporations—68% of tax cuts in the bill going toward individual Americans. A family of four— a couple with two children—making a median income of $73,000 would see a 60% tax cut, while a single-mom making $41,000 will receive a 75% tax cut, according to Perdue. The issue of state and local tax (SALT) deductions for high-tax states such as New York, New Jersey and California has become somewhat of a focal point for some legislators. While the original Senate bill called for a full repeal of SALT, the legislation that passed Saturday mimicked the House’s plan—keeping a deduction for property taxes up to $10,000. However, the senator believes most Americans are tired of subsidizing the nation’s high-tax states. “Why should a couple with two children making an income exactly the same for the same couple with the same [number of] kids in California—why should the couple in Iowa pay more federal income tax?” he asked. The Senate’s bill also preserves the alternative minimum tax (AMT), which some say would benefit wealthy Americans, though the Georgia Republican disagrees. “We put this back in there primarily to pay for an enrichment of cuts on the individual side … So when you look at the math, there is absolutely no support that this is just for the rich,” Perdue said.